Some visitors may already be performing in public with their keyboards, while others may only be thinking about a "career" performing. On this page you'll find links to web sites that are maintained by various professionals who keyboard entertainers. "Popular music at its finest!" "Imagine making a living doing what you would do if you didn't have to make a living! I've been lucky enough to be able to do that for more than 30 years now. 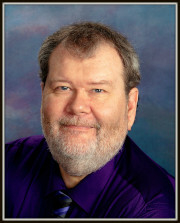 I hope you enjoy browsing the site and meeting my friends and family." 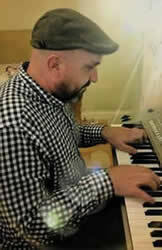 "Esh (Jim Eshleman, ll) is a dedicated professional composer and arranger, contemporary pianist/organist/multi-keyboardist, guitarist, certified recording engineer and a specialist in the field of MIDI applications. 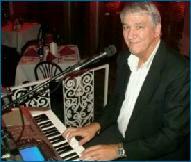 Esh has 38 years of professional experience as an entertainer and as a public speaker, DJ and master of ceremonies." 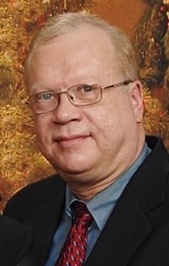 "Mark Chapman is an experienced, creative, innovative musician. Playing keyboards and piano since the age of 11, he can pull off anything from Beethoven to BB King, Rachmaninoff to Ray Charles, and Clapton to Coldplay. He brings his own unique style to any type of music and creates a whole range of sounds from electric pianos, acoustic guitars, electric guitars, brass sections, string sections, percussion and much more. Predominantly, Mark is a covers musician." You can follow Mark on Twitter @ThemusicianMark or visit Mark's Facebook Fan Page. 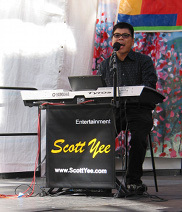 Scott performs in place of a band because with his background and state of the art keyboard equipment, he can authentically play most styles of music and make it sound like a variety of live bands. He performs according to the needs of each audience and setting. Virtual Band Keyboardist is a title that Scott coined that pretty much describes what it is he does. He sounds virtually like many different types of live bands. He is a one man band! Note: be sure to check out Scott's Gig Disk page (which includes a Jukebox of some of Scott's songs) in the Styles | Gig Disks section and Scott's article on "Organizing Styles" in the Music | Articles section of the PSR Tutorial web site. "In addition to his heartfelt vocal delivery and fine keyboard playing skills, his ability to concurrently trigger the keyboard to produce an authentically live sounding 'back up band' (from intimate combo to large orchestra) makes his act extra special." This page updated on April 3, 2019 .